Sapporo is famous for ramen. 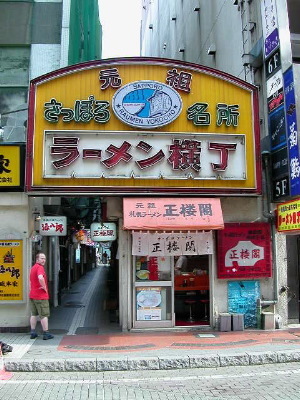 Every town in Japan is famous for some type of food. While in Sapporo I ate ramen several times. Now ramen is one of my favorite things to eat in Japan. Technically it is Chinese food, but it is very much Japanese style Chinese food. Basically it's noodles in broth. I put up a gallery of Ramen shops I visited regularly while living in Toyohashi.